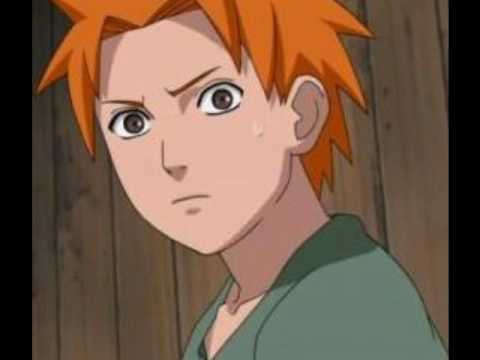 Appearance: Shen wears an orange hoodie, he has orange hair and blue eyes. His complexion is fair. He has a medallion which he always wears, even when asleep. The medallion is a circle with a dragon and a volcano in the background. Shen wears his headband around his forehead. On his sternum is a strange mark resembling the medallion. Elements: Lava. earth and fire. History: Shen lived on a faraway island only inhabited by his clan and dragons, isolated from the five great nations. He was chosen by the dragons to become a to become an honoured rider and such was given the mark of the rider. One day he was sent on a naval journey to a nearby island. A great storm came and wrecked the ship. Shen was the only survivor. He washed up on the shores of the land of fire. He was found by a fisherman, who took him to his family. After awhile they learned he had learned to harness his chakra. Shen was then sent to the leaf. His memory was fuzzy, but they learned a primitive version of his story. They made a deal with him, they would help him get back to his home and help him train, if he would try to talk to his clan about an alliance with the leaf. He agreed, and was sent to the academy. They he quickly learned and became a genin.